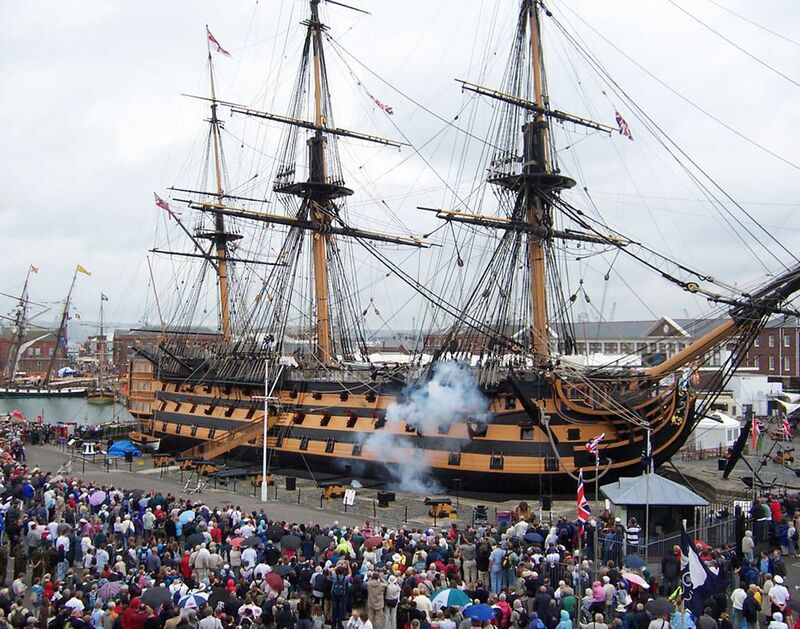 HMS Victory (launched 1765) firing broadside in front of a large crowd at Portsmouth Dockyard during the bicentenary celebrations of the Battle of Trafalgar in 2005. This HMS Victory Firing Broadside, 2005 Art Print is created using state of the art, industry leading Digital printers. The result - a stunning reproduction at an affordable price.